This dressed-up avocado toast bursts with roast chickpeas, creamy feta and refreshing mint leaves. 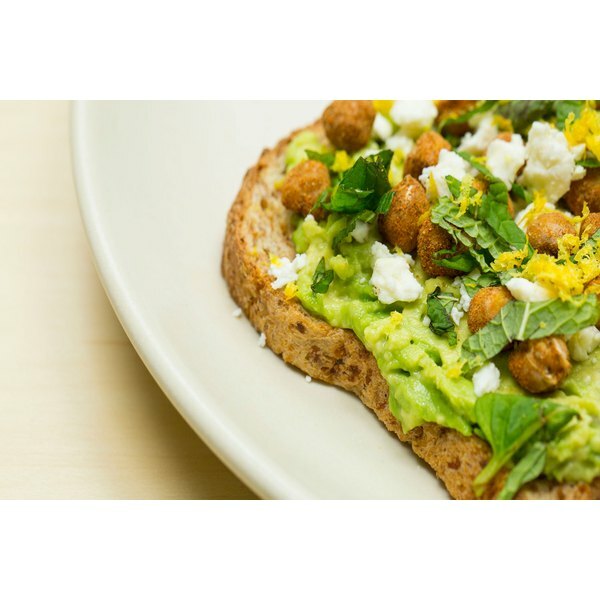 Creamy avocado meets roasted chickpeas in this wholegrain toast recipe. It packs a hint of heat thanks to a dash of cayenne, but we're not stopping there. It’s also topped with lemon zest and mint leaves for a dish that's both savory and refreshing. While this recipe calls for two slices of whole-wheat sourdough bread, you can use any toast of choice. Begin by mashing one avocado and then spreading it on both slices of bread. Then, you’ll toss roasted chickpeas in a mixture of salt, cayenne, ginger and cinnamon. Chickpeas provide an excellent source of plant-based protein and fiber, which has a filling effect and improves digestion. Finally, you’ll garnish with feta cheese, chopped mint leaves and lemon zest. And voila! You’ll be able to enjoy this dressed-up version of avocado toast in just 10 minutes. One serving contains 345 calories; 12.62 grams total fat; 11.64 grams protein; and 50.54 grams total carbs. Are you a fan of avocado toast? Would you try our recipe? What are some of your favorite avocado toast toppings?